When you are selecting a service company to come into your home it's important that you feel comfortable and safe. Our technicians and staff are selected not just for their skills. Exceptional skills and knowledge are expected. What is most important is a positive attitude, a strong work ethic, and a personality that will help us build relationships with our most valuable asset; you our customers. Being able to put a face with a name is an important part of that process. Family comes first here at Integrated Pest Management, Inc. We will always treat you the way we would want our families to be treated. 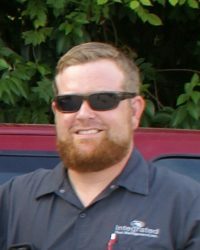 Of all our technicians, Daniel has been with us the longest. He started with Integrated Pest Mgmt. way back in 2003. You could say Daniel has grown up with us. He has been in the pest control business his entire adult life. Daniel is a homegrown guy, having spent most of his life in "The Berg" Rosenberg. He is a proud father who loves good family fun. He also enjoys home projects & renovation, fishing and shooting. 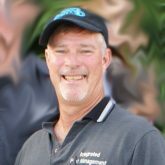 Phil has been with Integrated Pest Management since 2010. Phil is a native Houstonian who wins the prize for the employee who travels the furthest to work each day. We like to think it's because he loves us. He really enjoys talking to people. It gives him a chance to use that dry sense of humor he has. Phil is a proud dad who loves spending time with his kids. In his spare time you might find him hitting a few golf balls around. Don’t let Dylan’s youth fool you. He’s been a pest control guy for as long as he can remember. You could say the pest control business is in his DNA. 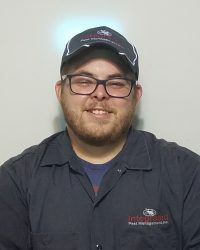 His dad is our General Manager Jeff and his grandfather is Bob McQueen, co-owner of Integrated Pest Management, Inc. Dylan likes to say, “If it’s got to die, I’m your guy.” Dylan was born in Indiana, but has spent most of his life in Sugar Land, TX. He sure keeps himself busy. He’s an avid baseball fan who has coached his brother’s Little League team and plays on a league himself. He also enjoys fishing and rock climbing. In addition to his athletic hobbies, this ambitious young man also takes classes at Houston Community College. This soft-spoken, easy going Houstonian was born in Orange, TX. Interesting fact, Orange has the distinction of being the easternmost city in Texas. 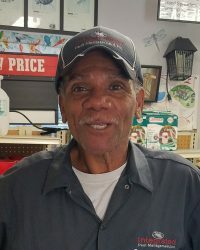 Alford loves the great outdoors and working on cars and hot rods, especially his 1982 Dodge truck. He proudly served in the US Military in the early 70s. 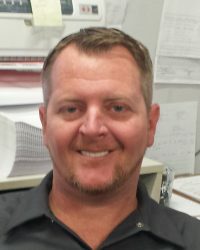 Alford is one of our newer employees, but has been in the pest control business for 14 years. He quickly picked up our way of doing things. His motto is, "Do your best, no matter what." We like how he thinks! Mike was born in Dunedin, FL (that's near Clearwater), but has spent most of his life right here in Houston. As with most of our team, Mike is a real Handy Man & Jack-of-all-trades. He loves to tinker with all things mechanical. In his spare time he plays rhythm guitar & sings back-up vocals in a local band. His favorite hobby though, is being a dad. As a matter-of-fact, he likes it so much Mike and his wife welcomed baby boy #2 in August. Their 5-year-old son is sooooo excited! 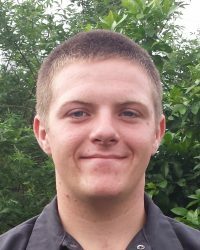 Tyler was born in New Braunfels, Texas, but has spent most of his life in the Houston area. He is the proud father of great little guy (4-year-old son) who loves to work on cars with his dad. Tyler says his favorite hobby right now is sleep! 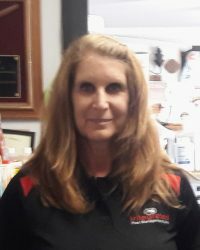 We recently welcomed Tyler's wife Aimee to the IPMI family as our scheduler. His philosophy is "Work hard and things will fall into place." If you stop by our store in Richmond, Jeff will most likely be the first face you see. 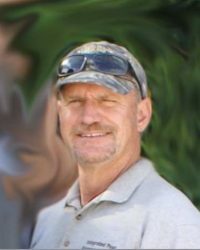 Jeff has over 20 years experience in the pest control industry. You could say he was born to be a bug-man. 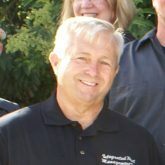 His dad is Bob McQueen, co-owner of Integrated Pest Management, Inc. 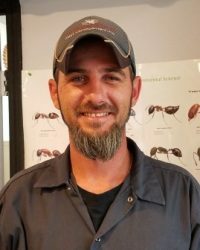 If you are one of our service customers, you may also meet his oldest son Dylan, third generation bug-man. Jeff’s depth of knowledge is quickly apparent as he takes time to answer your questions and offer advice, whether in person or on the phone. Jeff is married, has two sons & a daughter. In true McQueen style, hanging out with family is one of his favorite activities. Shirley is our bookkeeper and has been with us for 16 years. We are lucky to have her in the office on Tuesday, Wednesday & Thursday each week. Her knowledge of our business runs deeper than she likes to admit, but we know we can depend on her to share that knowledge. Shirley is a native Houstonian, but she and her husband now call Needville home. She loves the quiet of the country and animals. She has 6 dogs and 3 horses to prove it. 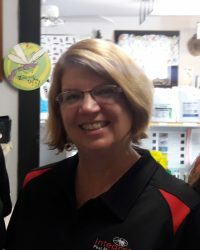 I’m Donna and you could say I am the “voice” of Integrated Pest Management, Inc. when it comes to the newsletter, social media posts, website, advertising or reminder cards. My goal is always to keep you, our valued customers, informed and when possible entertained. I am a proud Purdue University graduate with a Communication degree. I’ve been here since October 2015. Who knew insects & rodents could be so interesting. My husband & I returned to Houston after living in NW Indiana almost 30 years. Sure it gets hot here, but I like to say, you don’t have to shovel hot. It’s good to be back in Texas and close to family. 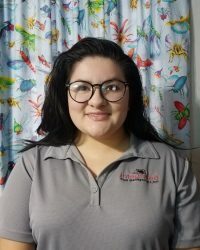 Aimee was born in Brownsville, TX and spent most of her life in the Rio Grande Valley. She is the youngest of four girls and the self-proclaimed favorite aunt of six nieces and nephews. :-). In her spare time she likes to read, crochet and paint with her 4-year-old son. She's also the better half of our newest technician Tyler. We're keeping it family around here. Her life philosophy is, "Always be kind." Even though Frank has lived in Texas since the tender age of 17, it's no secret he was born in New York. Mineola, to be exact, just "spittin' distance" from the heart of NYC. He is a loving family man with a big personality. He is passionate about everything he does. That includes gardening, scuba diving, golf, watching sports and most recently traveling with his wife and twin teenaged daughters as they climb through the ranks in competitive soccer. Exciting stuff there! His motto is, "treat people the way you want to be treated." There's that Golden Rule again. 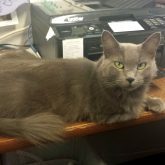 Smokey wandered into our lives as a stray about three years ago. She was very pregnant and had a litter of kittens shortly after arriving. We found homes for all her kittens, but she refused to get along with anyone else's animals. She is now our company mascot and a very friendly permanent fixture around the office.